Under the McCrory administration, it was pain-staking, if not impossible to pry public records from the hands of state agencies; requests for the taxpayer-funded information languished for months, even years. Yet since Gov. Cooper took office, most of these departments have been more responsive and forthcoming with providing public taxpayer-funded information — with one notable exception: the NC Department of Agriculture. Now the agriculture department has agreed to change its records policy, after reaching a settlement with the Southern Environmental Law Center and the Waterkeeper Alliance. In the agreement announced last week, the department will update its public records policy to stop charging fees for the inspection of public records, according to the SELC. 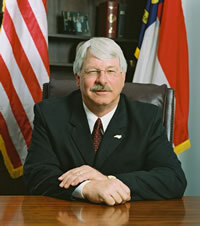 Headed by Commissioner Steve Troxler, an anti-regulatory ally of McCrory, the department proposed charging the Waterkeeper Alliance $4,000 merely to inspect public records related to damage from Hurricane Matthew on hog and poultry farms. As part of the agreement, the department will make that information available for free to the Waterkeeper Alliance and to reimburse the group for the costs of litigation. Finally, under the settlement terms, the department will donate $2,000 to the Sunshine Center of the North Carolina Open Government Coalition – a nonpartisan group that advocates for public access to government activity, records and meetings. The alliance had made the request to both the Department of Agriculture and the Department of Environmental Quality in January. DEQ produced the records without charge in March.